We just wanted to remind you to sign up for our next event called Girl Power Biz Camp. 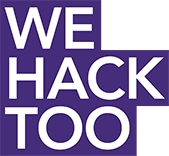 Just like We Hack Too, it's free, and you have the chance to earn a bunch of cool tech prizes (plus there will be free food)! It'll be from July 18-22 and is open to high school girls in the NY area. We'll teach you all about digital media and how to distribute content on mobile devices.